Combining the Best Non-Surgical Technologies and Natural Remedies to Relieve Your Pain. 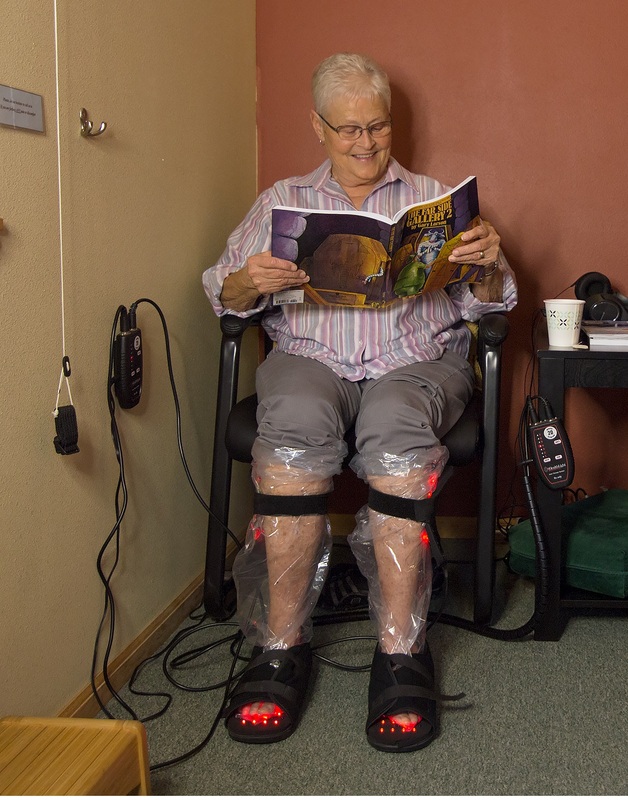 If you Suffer from Neuropathy, you have typically faced a few significant problems in the past as you struggled to find help. Problem #1: You may have been labeled with a diagnosis of neuropathy, but you still don’t know what the primary cause is. Is your condition due to a circulation problem in your arms, hands, legs or feet? Is it due to degeneration in your spine or nerves? Is there something in what you are eating or not eating that is causing serious inflammation, numbness, pins and needles? Is it a combination of all the above? The answers to these questions affect whether you can be helped and what specific treatments would best for you. Problem #2: Even if your medication is helping you feel better, it is unlikely fixing the cause of your problem. If medication helps you feel a little better for a little while, that relief is welcome. But if each day your legs and arms grow weaker, if you are losing your balance and falling more often, if you cannot feel when you injure yourself during your daily activities, this is a significant and growing concern. Additionally, many patients experience concerning side effects that intensify the longer they are taking these drugs. Problem #3: You may not have received a thorough examination to evaluate which nerve fibers are performing and which have shut down. A thorough examination should quantify the percentage of functional loss to determine whether or not there is still hope for reviving poorly functioning nerves. At Pinnacle Health Solutions, we meet with you first to get a clear understanding of your history and your pressing concerns. We then perform a Clinical Neuropathy examination to measure the type and extent of your neuropathy. Only after carefully correlating your exam results with your history can we recommend the right combination of treatments to truly help you get better and stay better. If your condition does not look like a right fit for our clinic we will let you know and make any referrals that might be helpful to you. Are you concerned about your Neuropathy? Do you want to understand what your drug-free and surgery-free options are? Call to receive your Free 21-Point Functional Neurology Evaluation.